It seems like Autumn has arrived doesn't it? Hard to believe we're only just approaching the end of August. At least the rain is good for our gardens (and ducks apparently). Whilst many of your plants are still blooming in the garden, the weather is definitely beginning to change and it would seem a good time to consider the next crop of flowers that you would like to see in your tubs and borders. Bulb planting time has arrived. 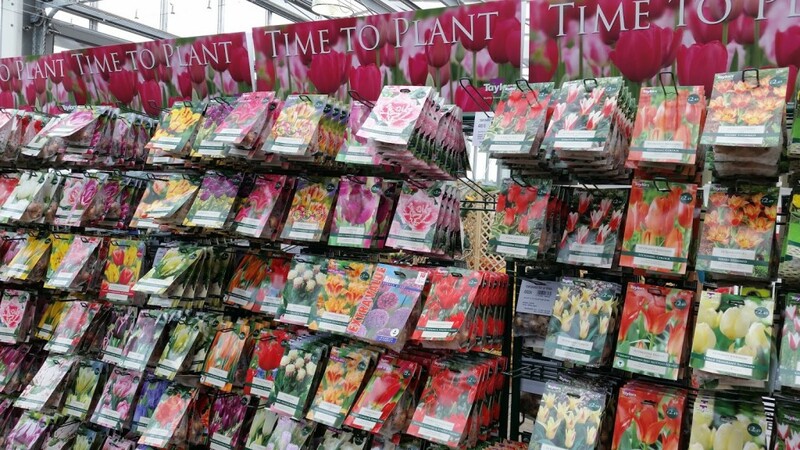 At Longacres you can choose from a wide range of bulbs. One of the advantages of bulbs is that we tend to forget about them a bit after planting, and then get a lovely surprise the following spring. Having a range of bulbs within your garden or pots can mean you are treated to flowers almost year round. Many of us probably think of plants in terms of those that traditionally bloom in spring - daffodils, crocus, tulip - and those that bloom in summer. However, there are many that happily bloom in autumn and even mid-winter. Cyclamen, for example, can survive in temperatures from zero degrees upwards and come in a range of stunning colours. Winter Aconite, with their look very similar to that of the humble buttercup, can flower from late winter to early spring. The Lance Leaved Lily produces fragrant flowers from late summer through to early autumn. Not forgetting the Chinese Chive, or to give it its Latin name - Allium Tuberosum. Doesn't that sound like a great Harry Potter spell? Bulbs are an ideal choice for young children. At Longacres you can choose from a wide range of bulbs for your pots and borders; some of which are on fantastic deals of 3 for £10 and 3 for £12. Bulbs are an ideal choice for young children as, unlike established flowering plants, they cannot really damage a bulb when planting - especially if they are as enthusiastic about gardening as their parents! Both children (and adults, of course) may like to take advantage of our 'cram a pot' section. A large pot of daffodil bulbs is just £3.99 - and you can even keep the pot! 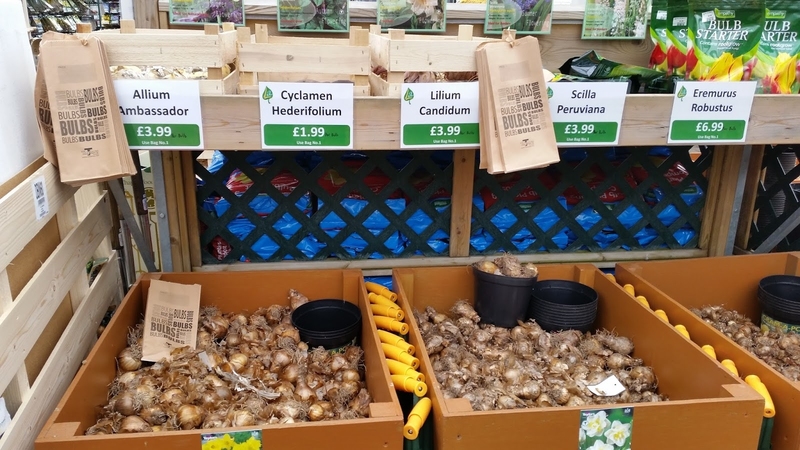 Also on offer are a range of specialist bulb planters, starting at just £1.99. You can find them all around the bulb section. 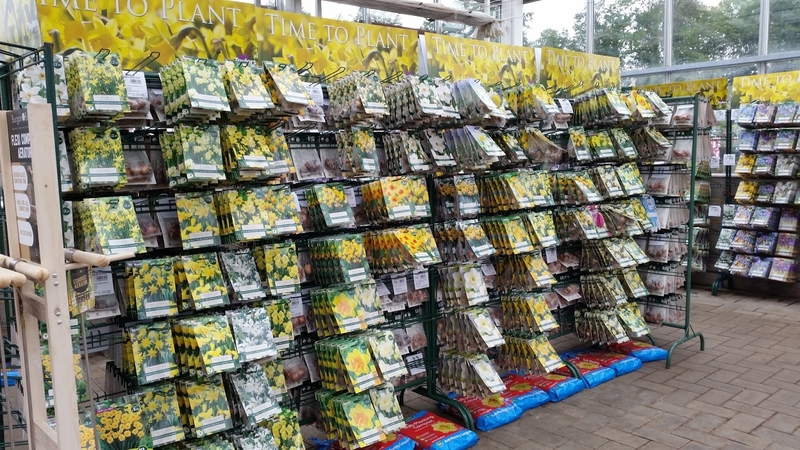 Longacres offers a 'cram a pot' section in their bulbs area. We look forward to seeing you at Longacres soon.